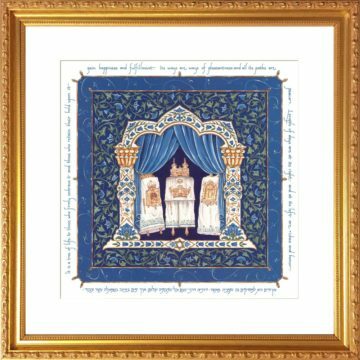 The Man of Honor Jerusalem Art Print by Mickie Caspi is the perfect tribute gift for that special Man of Honor. Jerusalem is viewed through a carved wood window, with decorative leaves and vines. 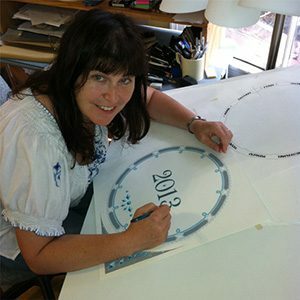 Traditional biblical quotes are elegantly calligraphed and a dove hovers above Jerusalem heralding שלום – shalom, peace. 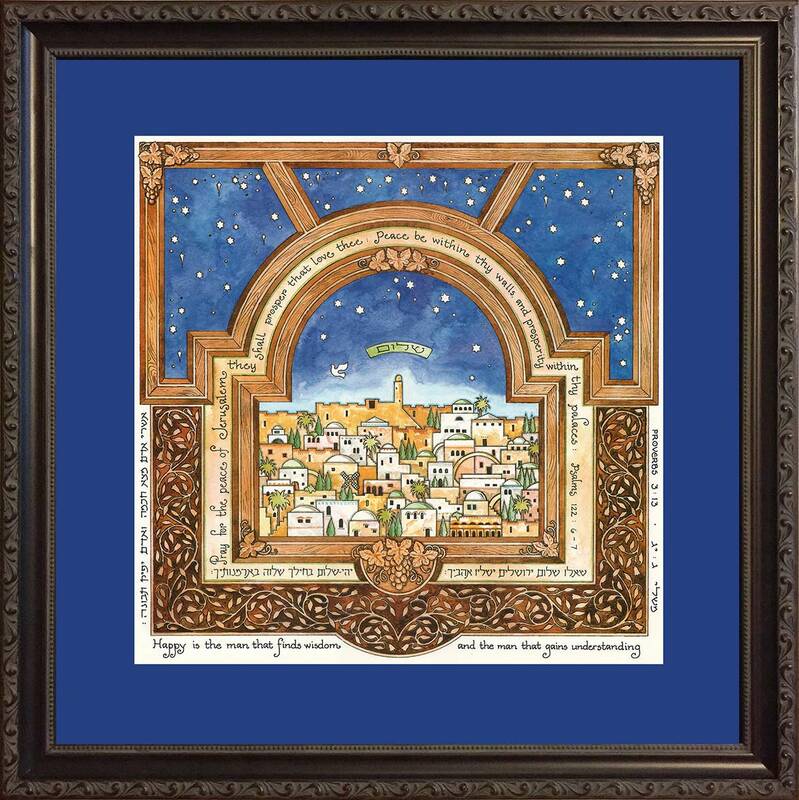 The Man of Honor Jersualem Framed Art is a wonderful birthday or fathers’ day gift for that special man. 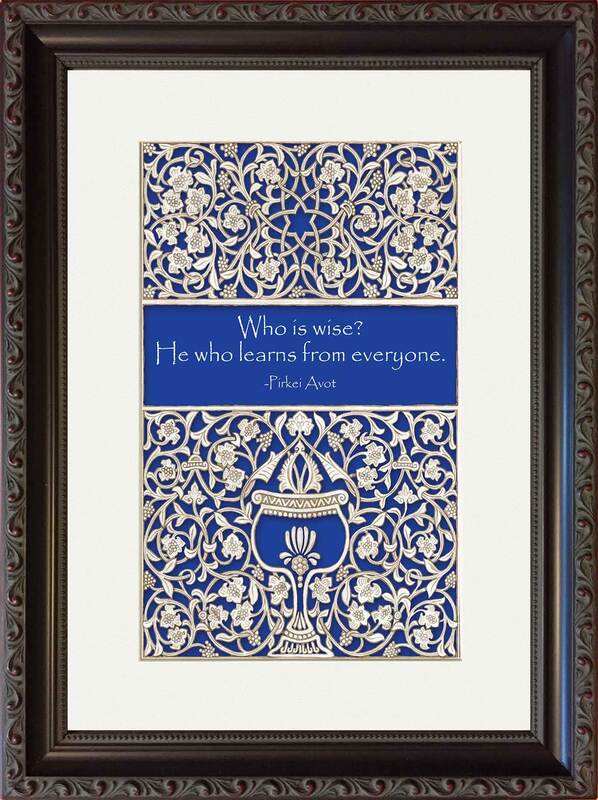 It is also a wonderful gift for rabbis and cantors. 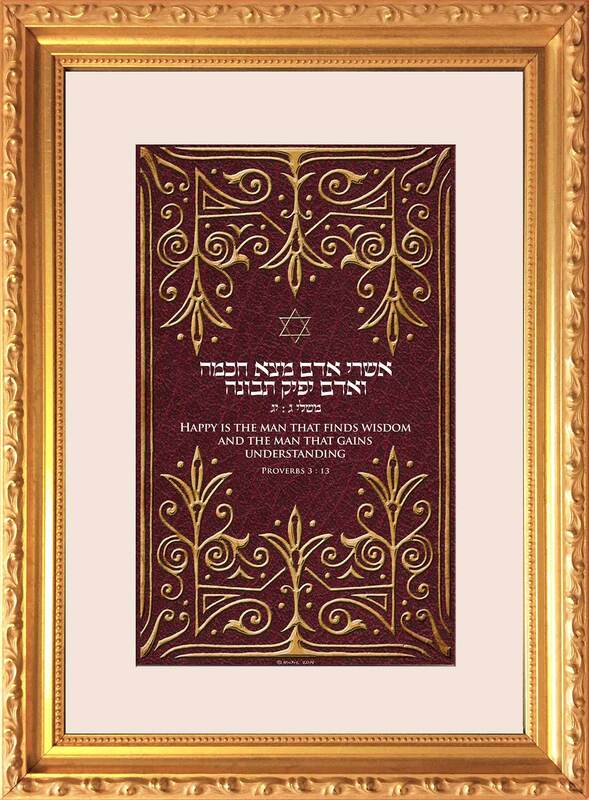 It is an excellent bar mitzvah gift for a wonderful young man. 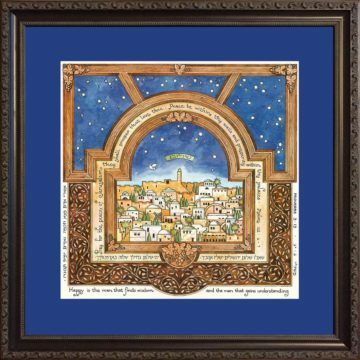 Available in Mahogany Frame and Royal Blue Mat, the Man of Honor Jerusalem Framed Art Print by Mickie is expertly framed and includes the mat, back dust cover, wire hanger and even a hook & nail for your convenience.